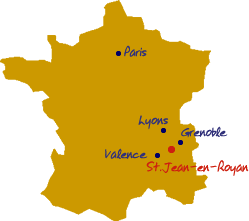 Having finished his cycling career in the Vercors in 1989/90, Roger and myself decided to return to St.Jean-en-Royans in 2007 to set up Velo Vercors. Having raced throughout Europe during his 12 year career, he was passionate in his belief that this region was the best he had ever cycled in. It took a lot of hard work and dedication and without Roger’s cycling pedigree and also his vast knowledge and hands on approach to renovation, VV would never exist. Without him the Vercors would probably still be an undiscovered region for cyclist's around the world. He largely enjoyed the journey, but was very much looking forward to finishing all the hard work so we could finally ‘get into a lovely rhythm’. Sadly, on the very cusp of this wish coming through, Roger was taken from me on 12th August 2015. 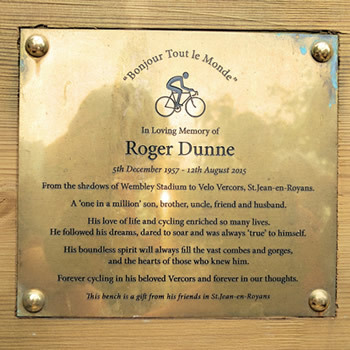 Roger's legacy is Velo Vercors and even though he is no longer physically here, his spirit lives on and his DNA is in the very fabric of the buildings. His ambitions and passion as a racing cyclist also live on in his nephew Conor Dunne who has just signed his first professional cycling contract with the first Irish Pro-Continental Tema 'Aqua Blue sport'. Conor was introduced to the Vercors by Roger back in 2007 as a 14 year old and has been a frequent visitor since. In memory of Roger, our friends in St.Jean-en-Royans have installed a bench on the Combe Laval...his favourite descent in the Vercors. A little about myself and my cycling history. 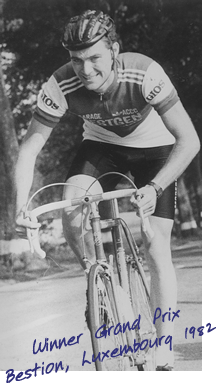 At the age of 14, in 1972 I became a club cyclist with London St Christopher. It was the Sunday club run that met at the Compass points in North and South London, like Staples Corner to the North and Streatham Common to the South, and the mid-week club night that met at Waterloo, that started my love of cycling. YHA weekends and Time Trials would follow. Things really began to happen when as a Trainee Quantity Surveyor, on a HND course at Willesden Tech, I was posted out to Cardiff, South Wales in 1978, to work on the M4 project. Cycling wise it was a dream come true with the demands of the valleys and the further Brecon Beacons and my form began to improve. It was in conjunction with the London St Chris' summer holiday that year, based in Chambery when I saw the 14 th and the Alpe D'huez stages of the Tour de France that my passion for competitive road racing was really ignited. At the end of 1978 I became a 1 st cat still riding with London St Christopher's. 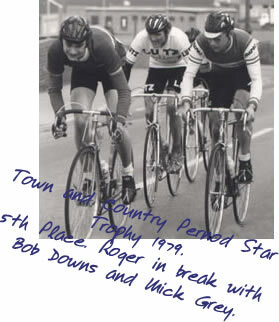 In 1979 I became recognised on the national stage when in the early season I took the scalp of the future legend, Sean Yates, over a 33 mile Hardriders TT in E.Surrey and finished the season notably being the best UK based amateur in that years Tour of Ireland, amongst the likes of Roche, Millar and Anderson. I was signed in 1980 to the Anglia Sport Racing Team; organisers of the re-knowned Star Trophy GP of Essex. Overall, Wimpey head office were fairly supportive of my cycling career, but my immediate boss made it difficult for me to pursue a career as a QS and the training demands needed to make a successful career in cycling, so I made the decision to quit hoping that my tenuous contacts in Europe might work out it. 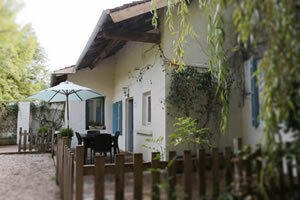 Its a decision I have never regretted and in1981, I signed to ACC Contern based in Luxembourg. A team that produced the likes of Kim Anderson, Bjarne Riis and in more recent years the Schleck brothers and Kim Kirchen. What an exciting, demanding and enlightening 3 years that followed. 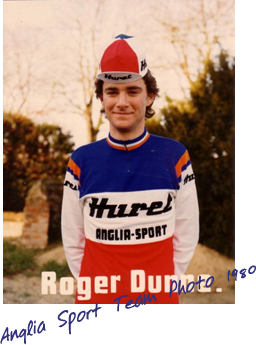 In 1985 I had a year out due to ill health and in 86-88 I remained in the UK, riding again for Anglia Sport and the Harp RC. Honours included National 100km TTT Champion and wins in the 1986 Tour of the Cotswolds, The Coldra 3 day in S.Wales and 2 amateur Brighton to London's. In 1988 representing GB, I rode the 41st ' Peace Race' (Course de la Paix ). The forgotten 4thGrand Tour of European cycling and the amateur equivalent to the Tour de France. The tour was a mighty 1830kms over 14 days starting in the city of Bratislava (Czechoslovakia) up into the Tatras mountains, through Poland and finishing in E.Berlin, East Germany. One heart rendering memory is the stage into Dresden, won by Olaf Ludwig (GDR). I'd had a terrible day having punctured for a 2 nd time, 15kms from home and as I struggled towards the finish line, my memory went back to a history lesson about the great fire storm that had destroyed the city and here I was, in an GB jersey with the roads lined 6 deep on both sides, being applauded all the way. It was enough to bring tears to my eyes. I finished in Berlin in 80 th position, 1 hour,3 mins,16 secs behind the overall winner, Uwe Ampler (GDR)who went onto turn pro as did the other Uwe Raab (GDR), Abdou Japarov( USSR) and many other Eastern bloc riders when the wall came down in 1989. 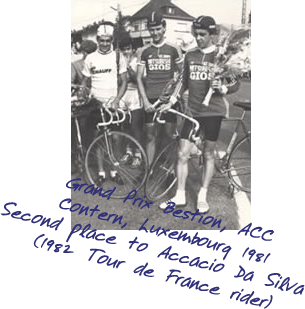 I ended my amateur career in France, not far from where our cycling holiday business is based here in St Jean-en-Royans, at Romans-sur-Isere with a 2 year contract with the VCRP club; a team that produced Charley Mottet – stage winner and King of the Mountain in the Tour de France. It was prior to this that I met my partner and wife, Teresa so gradually competitive cycling became less of a priority. Even so, I managed a major achievement in my first year at VCRP. It was the 1989 Tour of the Ardeche, with 120+ riders where I finished 2nd having been caught in the final 10kms, by a re-knowned rider from Grenoble and pipped by a wheel on the line with a roaring peleton 20 seconds behind! I called it a day after my last competitive year of racing in 1990 and moved back to London with my wife who had a successful career in the music Industry. I kept on form by running regularly and sometimes competing for London Irish, plus the weekly 2 hour ride from our base in the inner London area of Harlesden and yearly cycling holidays. 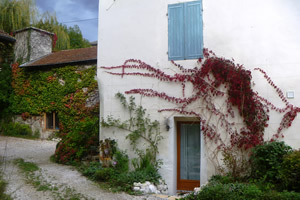 However, my passion was re-ignited when I took my nephew, Conor Dunne on holiday in 2005 to show him my old stomping ground in the Vercors and surrounding areas. Something must have worked as he has just signed his first pro contract with the An Post/Sean Kelly Team based in Spain. He also represents Ireland and had the great joy of winning the first stage of the RAS/Tour of Ireland 2013 wearing the Irish Jersey. The timing was right for both Teresa and myself, so here we are, at Velo Vercors where I look forward to welcoming you and passing on my knowledge and experience of cycling in this wonderful region.